It’s an old saying: if walls could talk. With Melo, they do. 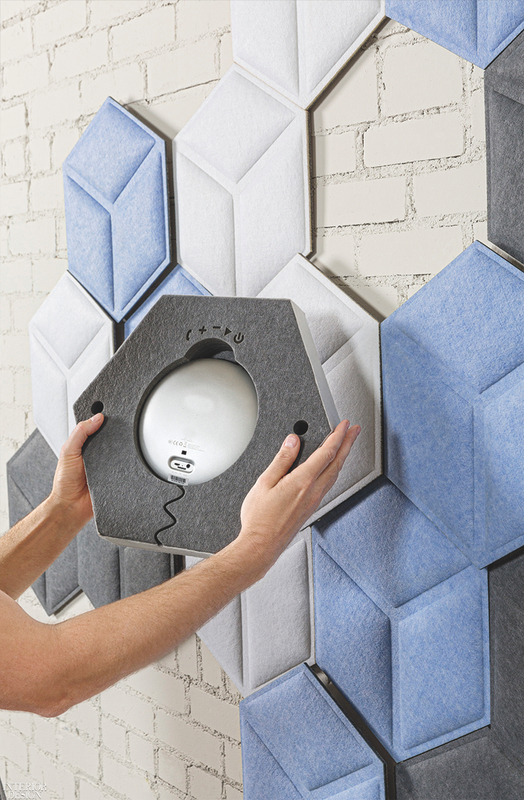 Fräsch partners Steve Kinder, Gary Nightingale, and Slavka Younger have combined an acoustic wall tile with an integrated Bluetooth speaker. 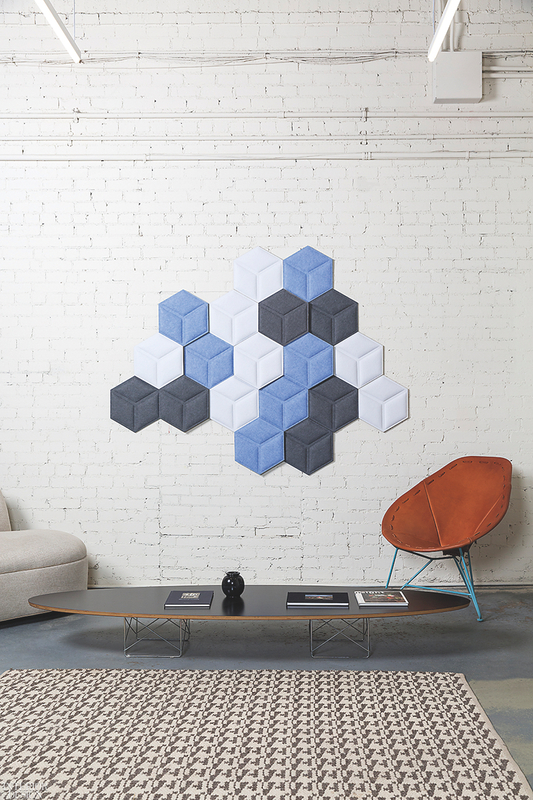 On their own, the hexagonal tiles absorb sound to a noise reduction coefficient value of just 0.9, thanks to their felt composition, 60 percent of which is recycled PET plastic, available in 18 colors such as Indigo Blue and Pure Gray. When audio is desired—disco hits for the office happy hour, anyone?—the concealed speaker, powered by a 12-hour battery, is controlled by the user’s mobile device; no app required.